How to Look at Different Parts of the Same Document at the Same Time? 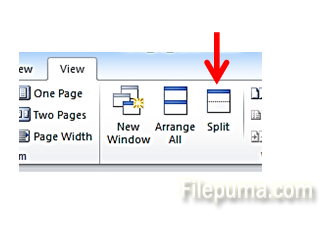 If you have a very long Microsoft Word document and you need to copy things from one place to another, you want to avoid having to scroll up and down endlessly. This is also useful when you want to review and compare side-by-side tables or chart located in different parts of the document.